My oldest son has always been tall – I mean literally off-the-charts tall. So when it came time to move him from a cot into a bed we decided that we would save ourselves having to buy him a longer bed in his teens and simply get a king single from the outset. Six years ago when we bought him the bed, there was very little choice when it came to bed linen for king single size beds. In fact, the ‘choice’ was white or cream sheets. Thankfully, that has changed. 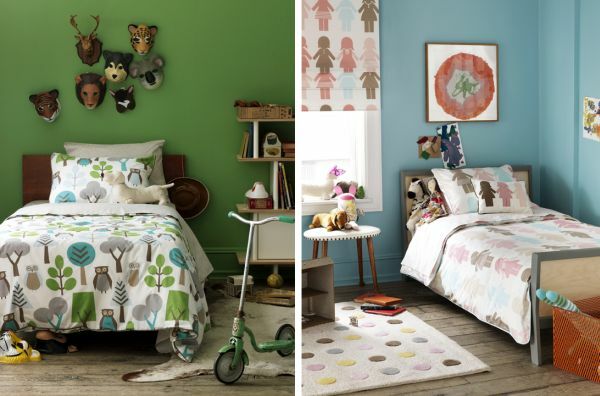 Dwell Studio have a fantastic range of bed linen for children that will see them from toddlers to tweens. Designs such as the retro Chocolate Dots for boys or the pretty Sparrow pattern for girls are timeless and suitable for any age. Dwell Studio bed linen fits king single sized beds and importantly, the Doona covers are available in single or double size (double Doonas fit king single beds better than single quilts). Again, when shopping for my son all those years ago there were no double size quilt covers made in patterns suitable for or appealing to children. When it comes to shopping for boy’s linen, I can’t help but favour the nautical red, white and navy blue theme at Lilly & Lolly. There are striking stars and striped sets but the standout is the Chambray design – a simple denim blue Doona cover with red piping that looks really smart. Lilly & Lolly also have a lovely range of understated, elegant designs for girls including Tic Tac Toe which combines aqua, yellow, pink and red and gives lots of scope for picking out accent colours. Lilly & Lolly sheets are available in king single size and quilt covers are available in single and double size in all designs. 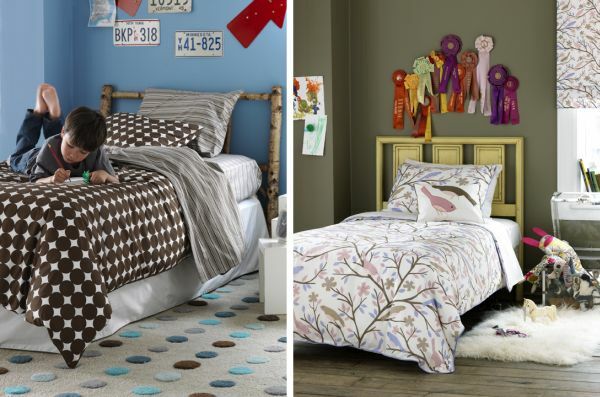 Lilly & Lolly bed linen is available online and prices begin at $130 for quilt covers and $135 for sheet sets. Dwell Studio linen is available in Australia through Infant Boutique. Quilt covers begin at $240 and sheet sets at $198.